This is a rather informative post here in my blog. I believe that the direct audience of my blog are women in their 20’s who are just starting their career. But, i also havfe a gut feel that there are those who view financial blogs who are starting their family life and making researches on how to budget effectively. Anyways, this post is dedicated to parents out there or soon-to-be parents. Well, it’s actually a tip for everyone. Having an emergency fund will assure that there will be enough money that the family can use in case emergency situation happens. 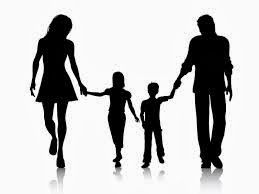 Unwanted accident, sickness or if and then one of the parents will suddenly lost his or her job. Emergency Fund should be about 6-months of the monthly expenses of the couple.You can easily start this by putting the money you receive from the wedding or the traditional money dance in the program. A lot of my couples do that because and i recommend it too because it will truly help in the financial security of the couple. Hope you have fun reading this article. Don’t forget to subscribe in my blog!